Reykjavik, Iceland (CNN)In a far-flung corner of Iceland’s main international airport, a once-raging strand of the Cold War is being rekindled — NATO’s hunting of Russian submarines. «They’re letting us know that they’re out there,» Adm. James G. Foggo III, commander of US Naval Forces in Europe, said of Russia’s increased submarine presence in the North Atlantic and Arctic oceans. And NATO is keen to respond and send its own message back. 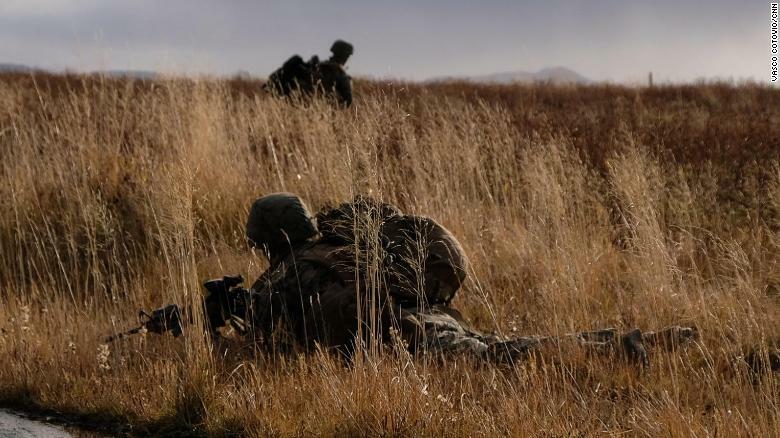 Thursday, the alliance begins its Trident Juncture exercise, a so-called Article 5 exercise that tests the readiness of NATO allies to restore the sovereignty of one of its members — in this case, Norway — after an act of aggression. It will be NATO’s largest exercise in decades, involving 50,000 troops, 10,000 vehicles, 250 aircraft and 65 vessels, including a US aircraft carrier operating north of the Arctic Circle for the first time in almost 30 years. But Foggo, who is overseeing Trident Juncture, said the exercise isn’t a threat to Russia, noting that NATO and Russian troops will be more than 700 kilometers (435 miles) apart during the maneuvers. 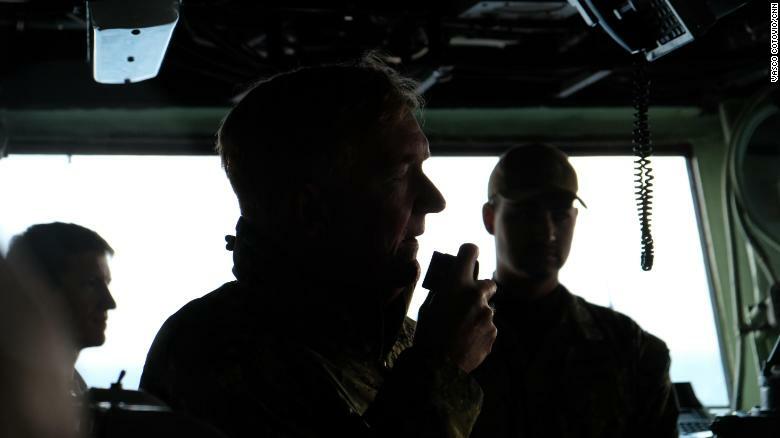 NATO, he added, had invited Russian and Belarusian observers to monitor the exercise. «I want them to be there because that conveys the strength of the alliance,» Foggo said. Iceland’s foreign minister, Thór Thórdarson, said in a speech in Stockholm in January that alliance aircraft are operating out of the country with increased frequency, taking off from Keflavikfor a total of 153 days in 2017, a steady year-on-year increase from just 21 days in 2014. To get from bases in the Russian Arctic to the open Atlantic, Moscow’s submarines need to pass Iceland. Foggo says those subs are a big headache for NATO’s leaders. «The Russians have continued to invest in research and development and production of very capable submarines. They have been our most capable adversary,» said the US admiral, who spoke with CNN in an exclusive interview. Russia says its sub fleet is defensive and necessary to safeguard the country’s security. At this year’s «Submariner Day» in March, Vice Adm. Oleg Burtsev, the former head of Russian naval forces, talked about the importance of beefing up the country’s fleet of subs. «This is because the plans of the leadership of our country and our army are to ensure that we are capable of worthily countering any probable enemy from all directions,» Burtsev said, according to Russia’s Tass news agency. «I believe that the qualitative level of our fleet is quite high now, but its quantity is not yet enough,» Adm. Vladimir Komoyedov, the former head of Russia’s Black Sea Fleet, told Tass. Much of NATO’s trouble with the Russian sub fleet is of its own making, said Carl Schuster, a former US Navy captain and current Hawaii Pacific University professor. Foggo says Russia’s new generation of submarines is highly capable and dangerous. Among the newest is the Borei class: virtually silent, nuclear-powered vessels capable of launching ballistic missiles. The Borei class is a main pillar of Russia’s underwater nuclear deterrent force, similar to the US Ohio class ballistic missile submarines. «This is beyond any doubt the future of our group of naval strategic nuclear forces,» the head of Russia’s naval forces, Adm. Vladimir Korolev, said recently at the christening of another new Borei class submarine. Russia currently has four of these on active duty, with four more expected to enter service by 2020. «They carry the Kalibr cruise missile, a very capable weapon system. And from any of the places the Russians operate from, they can target any capital in Europe,» Foggo said. «Would they do it? I don’t think so, but nevertheless, we need to be cognizant of where they are at all times,» he said. «Moscow ‘s aggressive actions and intent will determine the time and place of a crisis while Western nations must be present and ready to respond at all times,» he said. And that’s why NATO is methodically ramping up operations in Iceland. «We work with ships, we work with other aircraft, we work with other nations to help get the picture,» Dorsey said. 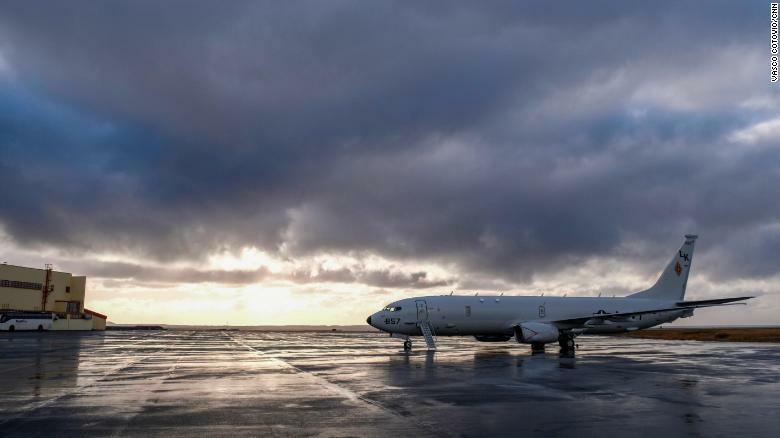 It’s the sort of team work among allies that Adm. Foggo wants to encourage, applauding the UK and Norway for acquiring their own P-8 aircraft and calling on NATO members to invest in research and development to keep a competitive edge over Russia. «We must continue challenging them wherever they are and knowing where they are,» he said.